The $94 bln graphics-chip company’s $6.9 bln acquisition of Mellanox, which makes hardware for data centers, is a bet that data will grow rapidly, and chip speeds only slowly. That view looks solid. But the price, pumped up by competing bids, presupposes a lot of success. Beijing may buy more U.S. semiconductors, a tacit admission of its $100 bln struggle to make advanced ones at home. Champions such as SMIC haven’t closed the gap with rivals. While distorting policies like Made in China 2025 draw fury, it’s an open question whether they work. Taiwan's $183 bln chipmaker expects revenue to fall sharply this quarter. Weak demand for mobile handsets is one problem. But the pain may be short-lived. TSMC’s cutting-edge semiconductors will help to win customers in AI and 5G. That should ease its dependence on Apple. The iPhone maker’s profit warning has hurt shares in European chipmakers like AMS. Apple can appease investors with buybacks or extra software revenue. But suppliers are in a bind. Any attempt to diversify means they will have plough cash into new ventures that may easily flop. State-backed chipmaker Fujian Jinhua was indicted for allegedly stealing designs from U.S. rival Micron. It was already barred from buying U.S. parts, so this raises the stakes. Former President Obama mulled sanctions for industrial espionage. That idea could be in play again. Washington has put a provincial chipmaker under an embargo similar to that which crippled telecoms giant ZTE. Fujian Jinhua is accused of IP theft by Idaho-based Micron; this retaliation presumes guilt. Still, targeting smaller state-backed firms is smarter than blanket tariffs. The $200 bln Taiwanese chipmaker’s quarterly profit only dipped 1 pct in a tough market. U.S.-China tensions loom, but next-generation semiconductors are helping cushion the blow. 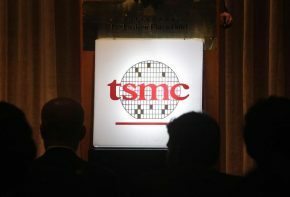 Unlike fellow Apple supplier Foxconn, TSMC is also less vulnerable to customers moving production. The Tokyo-based chipmaker is buying U.S. peer Integrated Device Technology for $6.7 bln. A promised uplift in revenue from selling self-driving and connected-car technology sounds optimistic. Even if Renesas can achieve such synergies, the return on investment barely stacks up. Renesas Electronics is considering buying U.S. peer Integrated Device Technology, for a price that could be around $6 bln. Its last acquisition hasn’t obviously delivered and the implied return on investment of this one is just 5 pct. Small wonder that investors are skeptical.